Make a gift to Camp Fire Central Puget Sound in your will and your selfless act will have a huge impact on the lives of youth for generations to come! We would love to welcome you to our Legacy Torch Circle whose members include Skip Sampelayo (pictured) and other generous donors that have remembered Camp Fire in their wills. We have listed a few options below but please check with your estate planner about others that may give you benefits today for your generosity tomorrow. You can set aside a specific gift or designate a percentage of the balance remaining in your estate after other obligations are met. If you already have a will, you do not need to rewrite it. Washington State law allows for a simply written addendum. You may also honor a friend or family member with your gift. Your attorney can advise you, or Camp Fire can send you sample language. Designate Camp Fire as a beneficiary on your insurance policy, pension, 401K plan or Individual Retirement Account. For an existing policy, pension or IRA, just complete a change of beneficiary form. Any new policies can easily be assigned to Camp Fire after you make the first premium payment. Donate stocks that have risen in value since you purchased them and Camp Fire can receive maximum, immediate value from your gift while you get a significant break on your taxes. Check with your financial advisor or broker for details. Consider gifts of real estate, jewelry or art to Camp Fire. You will not only make an incredible impact but your heirs may also realize significant estate tax savings. 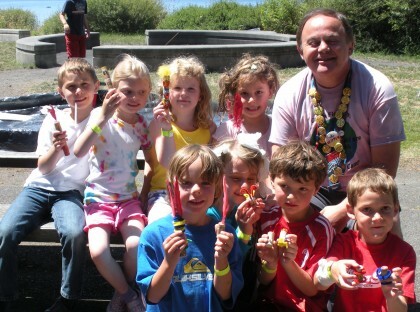 Kristen Cook, Marketing & Development Director, at (206) 826-8931 or kristenc@campfireseattle.org.